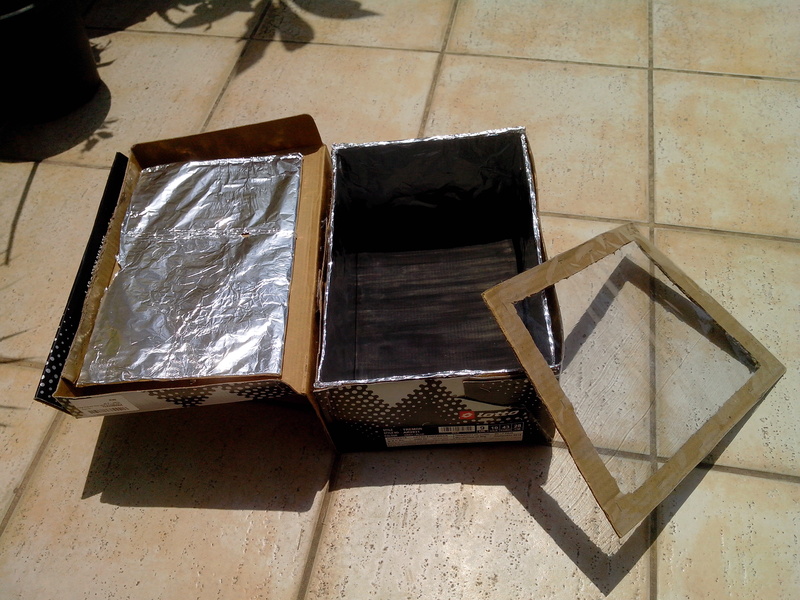 Today I attempted a long pending dream of making a solar cooker from household items. 3) Take a cardboard piece & draw out a rectangular window leaving approximately 2.5 cms width from all the edges of the cardboard. Now cut this rectangular piece & cover the remaining piece with the transparent plastic. This will act as a lid. 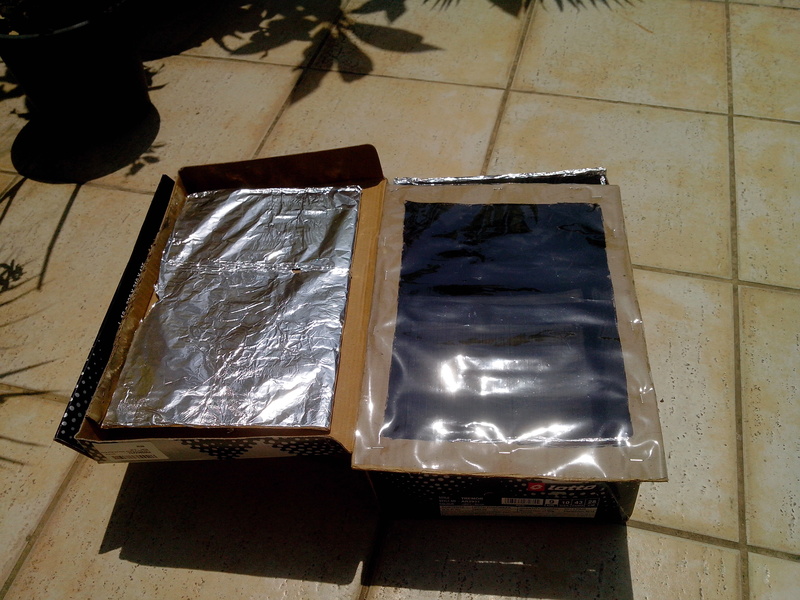 4) Cover the top (inner side) of the box with aluminium foil. This will help in directing the sun rays in the box. Done. Your solar cooker is ready. This will take approximately 50 mins to make.